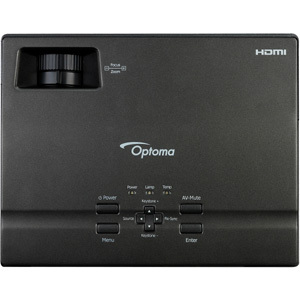 Light weight, bright, cheap are some of the words that can describe Optoma W304M. It promises a bright image at 3100 Lumens. The Optoma W304M weighs only 1.5 kgs and hence is a great alternative to LED based projectors which are light weight and hence portable. These are preferred in the business environment due to portability. Sporting a 10,000:1 contrast ratio, it uses standard lamp / DLP chip. Lamp is now able to hold 4,000 hours in normal operation and up to 5000 hours in Eco mode activated. Like typical LED-based portable projectors, W304M offers the same 1280×800 native resolution. This is good enough for business applications like powerpoint presentations and XLS files which contain data. It offers a great image quality as well. It has great colour balance and shows up black text on white background very well. Besides being light weight, dimensions are only H 2.8″ x W 8.7″ x D 7.0″. It has a 1.15x manual zoom. Typically LED based projectors do not offer any zoom at all. 3D support. 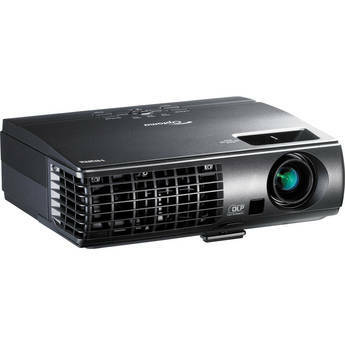 As with other projectors with 3D, the W304M includes an HDMI 1.4a port. It gives 3D with computers, Blu-ray players, game consoles etc. 3D glasses at 144Hz (to watch Blue ray movies at 24 frames per second rate) will be needed as against 120Hz DLP-link glasses which should work with games. This was all regarding Optoma W304M, which is a good alternative to LED business projector.